The University neighborhood is home to the University of Denver, and it’s nationally recognized business and law schools. Interstate 25, and the city’s boundary with Englewood form the community’s northern and southern boarders, while University Boulevard and Downing Street define the east and west confines. Residents in the University neighborhood enjoy many of the perks that go with living in a college community, including local markets, pharmacies, coffee shops and cafes, bike and sporting goods stores, and clothing boutiques. Recreational activities at DU offer something for everyone, including sports events at Magness Arena, fitness classes at the Coors Fitness Center, and arts and cultural events on campus. With easy access to I-25, University, and Downing, residents are only minutes away from any local destination. The blend of college students and local residents means a wide variety of housing options on University real estate – from single-family homes to high-rise apartments to traditional ranches. University residents have easy access to historic buildings, museums, art districts, parks and excellent shopping venues. At the intersection of Hampden and University, an old seminary is also currently being The University real estate homebuyer will find that converted townhouses and high-rise condominiums are also making their way onto the landscape, as older buildings are being remodeled and renovated. University real estate is a pleasant upscale neighborhood, with fashionable homes on tree-lined streets with well-kept lawns. 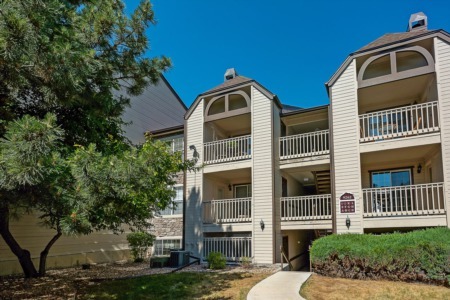 Its close proximity to the University of Denver allows residents here to enjoy the quick tempo of college life at their leisure, and then perhaps retreat to a more established lifestyle all inside the same community. Nearby Mamie Doud Eisenhower Park has a recreation center, tennis courts, soccer fields, playground…even a pool. South Colorado Boulevard provides a number of interesting shops and restaurants.